Tangs is a Chinese restaurant in Rickmansworth. It is situated just around the corner from Rickmansworth station. It offers a serve yourself buffet with all the favourite dishes such as duck pancakes, sweet and sour pork and is reasonably priced. A lunchtime visit costs £5.50 and is likely to be a lot less busier than the evenings. 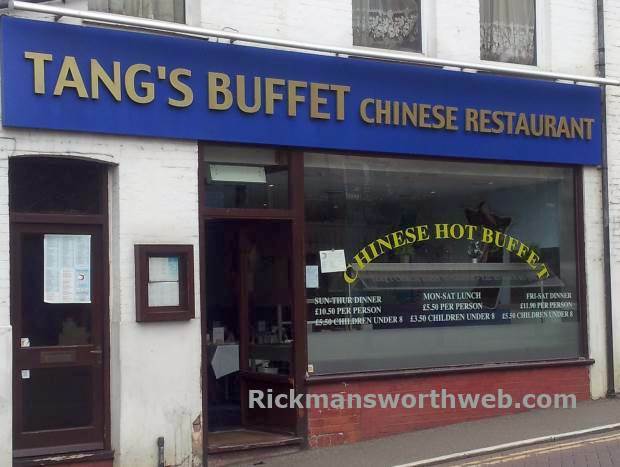 Tangs is ideal for large groups wanting a high quality and relatively cheap Chinese. Tangs also offers takeaway service and the takeaway buffet is particularly popular. If Tangs doesn’t take your fancy then why not check out the other Chinese restaurants that Rickmansworth have to offer! And if you’re not in the mood for Chinese Food, why not check out the other restaurants Rickmansworth is home to.